Under this section you’ll be able to manage the GSLB (Global Service Load Balancing) farms module. This profile is able to control all kinds of services and applications using DNS layer to deliver the most suitable server to the client, creating a distributed and geolocated service across different data centers. In the scheme below is shown the common use case for load balancing across different data centers using GSLB infrastructure an HTTPS webpage (ex. google.com). Create Farm. 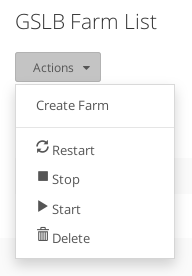 Create a new farm managed by the GSLB module. Restart. Stop and start again a farm service in the GSLB module. VIRTUAL PORT. Port that is managing the traffic, it is also known as virtual port. 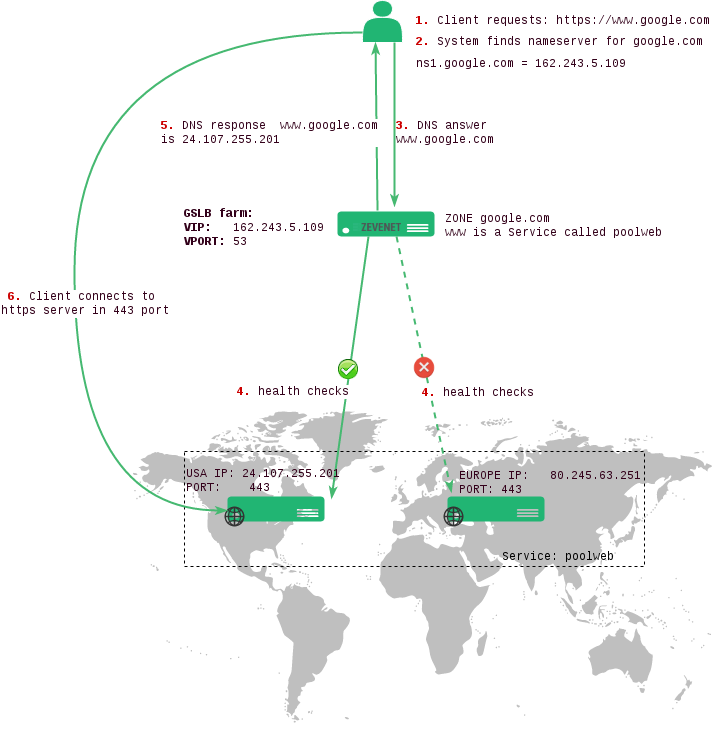 As this service behaves like a DNS service, usually it would be the port 53 UDP. Check out our video about GSLB. Next step, create a GLSB farm.